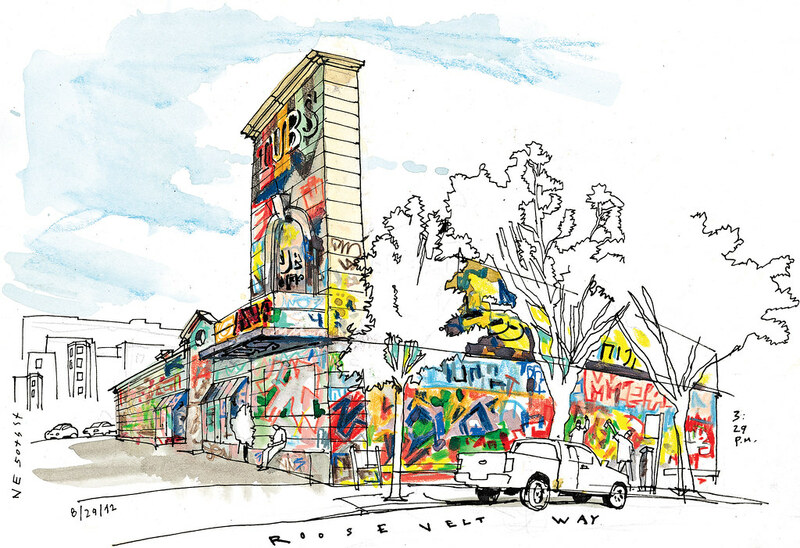 Since the Tubs Sun Salon closed five years ago, its empty shell has become an eye-stopping display of graffiti in the middle of Seattle’s U District. The collective artwork, however, didn’t happen spontaneously. 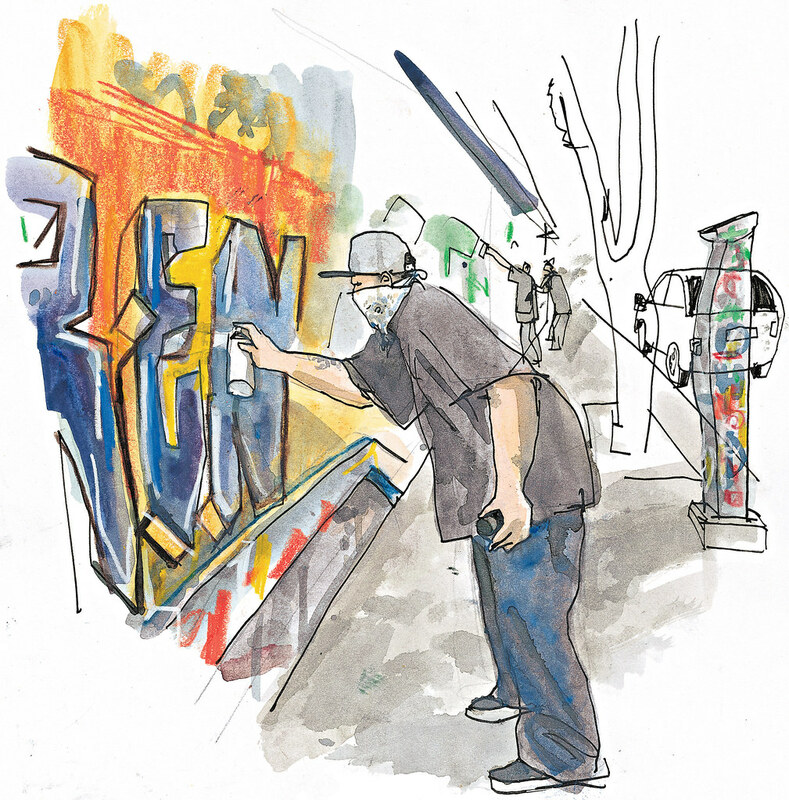 Taggers can thank Eric Sun, who bought the property in 2007, and his artist friends D.K. Pan and NKO for giving these walls a unique creative purpose all these years while they awaited the wrecking ball. Sadly for taggers, Sun is finally getting around to his original plans for the site. He said Tubs will be demolished by the end of the year to make room for apartments. I couldn’t have timed my visit any better. 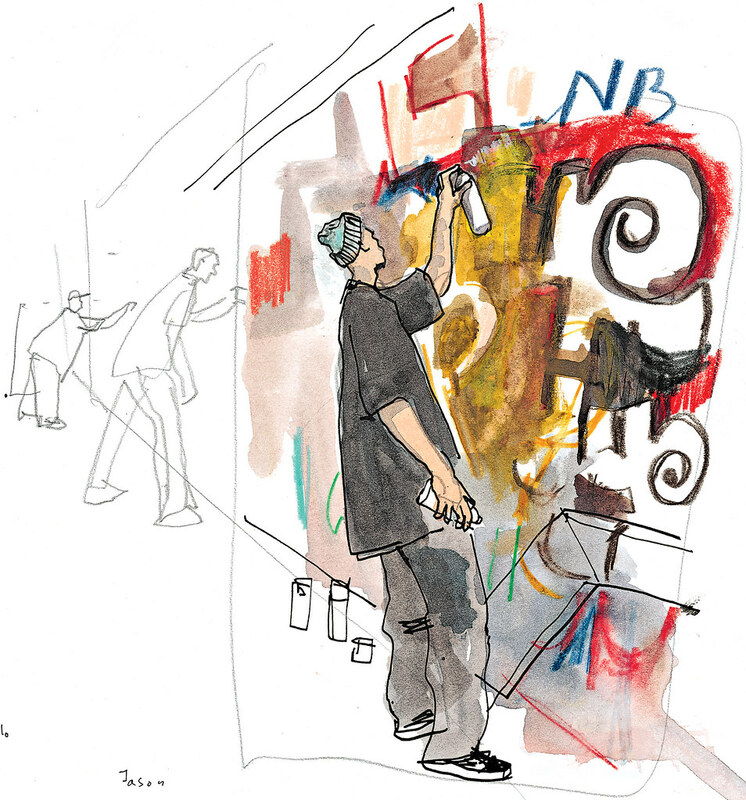 As I was sketching the building, three graffiti artists showed up and I was able to quickly add them to the main sketch, as you can see on the detail above. Then I went to talk to them and did two more drawings. “Man, that’s tight,” said Scotty, when I showed him my sketch of him. D.K.Pan is working on a documentary about Tubs. For more information visit facebook.com/tubsdocumentary.